"Here is a writer who has never met a metaphor or simile she couldn't put to good use. Miss Lana's voice is 'the color of sunlight in maple syrup,' while '[r]umors swirl around the Colonel like ink around an octopus.' But it's Mo's wry humor that makes this first novel completely memorable." Meet Miss Moses LoBeau, rising sixth grader, borderline straight-A student, and natural born detective. Mo, a “possible orphan” who washed into Tupelo Landing NC the day she was born, looks forward to a lazy summer. She’ll take karate with her best friend Dale Earnhardt Johnson III, continue her search for her long-lost mother, and help out at the café operated by the Colonel and Miss Lana-–the good-hearted but quirky folks who took her in when she was a baby. But when the café’s crankiest customer turns up dead and a city-slick lawman comes to town, Mo’s life in Tupelo Landing turns upside down. Mo and Dale set out to solve the murder and protect the people they love, and end up solving the mysteries of their own lives in the process. Three Times Lucky, for ages 10 and up, has received starred reviews from Kirkus, Publishers Weekly, and Booklist. It’s a Junior Library Guild selection, a SIBA “Okra Pick,” and a recommended children’s book on Amazon.com and Barnes&Noble.com for the month of May. Three Times Lucky is her first novel for kids. It's set in the fictitious town of Tupelo Landing, North Carolina--population 148 minus one (murder). Connect with Sheila on Facebook, or on her website. At thirty-five, Samantha London must reevaluate her entire life when she uncovers the secrets that her newly deceased grandmother desperately tried to hide. Lost and confused, Sam desperately attempts to put together the pieces of her past that could derail her perfectly planned future with her endearing husband and story-book two children. Sam and Matt’s marriage and family don’t just seem perfect, they are perfect. Or at least that’s what Sam thought. As Sam begins the journey of closing her grandmother’s estate and parsing through her final belongings, Sam is faced with reevaluating her past as well as future. A ghost from long ago appears at Sam’s wedding boutique, je t’aime, not as a visitor but as a customer. As pieces from the past begin to unfold, Sam realizes this encounter with her prior lover and best friend are not happenstance. As secrets are revealed and the past is uncovered, Sam must face that her beloved Grandmother is no longer alive to pull her to the surface. While Matt pursues a professorship opportunity in Savannah, Sam must decide if her heart will move with her if they relocate to Georgia. Her experiences as established business owner, PTA volunteer of the year, and fixer of all boo boo’s, never prepared her for the discovery and heartache that would be coming next. Heather is a native North Carolinian and currently resides in Raleigh with her husband and two children. She holds the position of Director of Development at an Episcopal private school. Southern Discomfort is Heather’s first novel. Visit her website at www.heathersnovelty.com. Hats Off to LC Fiore and Liza Wieland! Hats Off! to LC Fiore and Liza Wieland, who were both finalists in the 2011 Balcones Fiction Prize: Fiore for his debut novel, Green Gospel, and Wieland for her collection of stories, Quickening. Hats Off to Glenda Beall! Hats Off! to Glenda Beall whose poem, "One Flaw", was published in the most-recent issue of Wild Goose Poetry Review. When Wade McNabb, publisher of the Georgetown Pilot, exposes high-level political corruption surrounding a chemical plant on the South Carolina coast, a powerful senator, steeped in the ancient code of the state’s insider politics, threatens to bring down McNabb and his newspaper. Wade turns for help to Kate Stewart, a young lawyer who has left a large law firm for a fresh start on her own in Georgetown. These two fiercely independent souls form a wary alliance for the legal battle that follows. It’s a fight that shows them the power of connections–good and bad–to change their lives forever. Jon Buchan, a First Amendment attorney and former newspaper political reporter, drew on his expert knowledge to produce Code of the Forest, a legal drama that, in the words of New York Times bestselling author Ron Rash, is “nearly impossible to put down.” An authoritative voice with an insider’s understanding of Southern politics, Buchan takes readers into the courtrooms, newsrooms, and political backrooms of the South Carolina Lowcountry in this tale of corruption and quest for human connection. His website is www.jon-buchan.com. Stepsisters, yes. Friends? Maybe ... "I smelled the wolf now--sharp and musky. I scanned the pen and saw a shadow behind one of the bushes that might be another wolf. Probably two of the most miserable looking creatures I'd ever seen." Stephanie and Diana are having a hard time adjusting to life as new stepsisters. The girls 'pretend' to like each other, but it's pretty hard considering they are complete opposites. When their new family takes their first-ever vacation to a horse ranch in North Carolina, not even long horse-back rides in the forest can tame their tempers. Diana's anger issues and Stephanie's fear of everything prove disastrous, until Diana discovers the caged wolves in the deep woods. She vows to free them, and surprisingly, Stephanie agrees to help. But their actions have unforeseen consequences, and if there's any chance to make things right, Stephanie and Diana must put their differences aside. For once Stephanie and Diana want the same thing. That's the problem. Diana and Stephanie are still trying to decide if they like each other when their blended family goes to the Outer Banks of North Carolina for spring break. They're headed in opposite directions--Diana is crazy about the wild horses and Stephanie is crazy about the boys---until one guy catches both their interests. Soon they're butting heads--again. But when their crush is accused of committing a crime against the horses, can the stepsisters band together to prove his innocence? Lisa Williams Kline is the author of Floods, The Princesses of Atlantis, Write Before Your Eyes, and Eleanor Hill, winner of the North Carolina Juvenile Literature Award. Her stories for children have appeared in Cricket, Cicada, Spider, and Odyssey. She earned her MFA from Queens University. Lisa lives in Mooresville, North Carolina, with her veterinarian husband, where their grown daughters visit frequently. In addition to writing, Lisa has also been a tongue-tied disc jockey, a radio copywriter, a zoned-out waitress, and a disorganized but trustworthy veterinary hospital office manager. Recently she learned to drive a forklift. Now she is an editor, writer, and English teacher. Lisa enjoys reading, running, watching movies, kayaking, and playing golf. Hats Off to Valerie Nieman and LC Fiore! Hats Off! to Valerie Nieman and LC Fiore. Nieman and her novel, Blood Clay, won the General Fiction category of the 2012 Eric Hoffer Book Awards, while Fiore's debut, Green Gospel, was named First Runner-Up. Nieman was also short-listed for the Montaigne Medal, while Fiore was short-listed for the First Horizon Award. "Blended families that resist blending are a middle-grade–fiction staple, but this funny, gentle and compassionate story feels fresh, thanks to appealing, closely observed characters, both major and minor, and a compelling setting. "In alternating chapters, Diana and Stephanie describe their eventful week at a rustic North Carolina resort where Diana’s mom and Stephanie’s dad have arranged their new family’s first vacation. Both girls are entering eighth grade, but Diana, having repeated third grade, is older. Burdened with an unspecified mood disorder, she’s a difficult kid—inattentive, impetuous, angry—bonding more deeply with animals, especially horses, than people. Pretty, timid Stephanie is smart and kind but anxious about horses and river rafting; Diana tries her patience and exacerbates her fears. Each—her self-confidence shaken by family breakup and reconfiguration—pushes the other’s buttons until, in a rare bonding moment, they set two captive wolves free. However, the fallout from their “good deed” will have unpredictable consequences on those around them, human and animal. Mitigating the damage will take individual soul searching and cooperation. While drawing from several well-known Cherokee tales, Kline avoids didacticism; the girls’ discoveries, flowing from their natures and experience, feel earned. Recognizing how much of life they can’t control is tough but liberating, freeing them to focus on what is within their power: their own responses. A fresh take on an old story." "Prather takes a fascinating look at people living the American dream by relating personal and career journeys in a fine book for everyone, not just those with historical interest." "This book is not only thoroughly enjoyable, it promotes the quality of life and strong business and professional spirit obviously prevalent in Western North Carolina." "Rev. Dan Matthews is one of the kindest and most empathetic people I've met, has unusual wisdom and depth, and is a constant source of support. He's a mixture of Spencer Tracy and Jack Lemmon, and I love his mischievous grin!" Twelve Notables in Western North Carolina is a collection of mini-biographies featuring compelling life journeys as told to author Jack J. Prather. Each comprehensive bio includes career and life highlights, writings by and about the Notable, and moving testimonials from such luminaries as Katie Couric, Doc Watson, former NC Gov. Jim Hunt, NC Secretary of State Elaine Marshal and NC Supreme Court Chief Justice Jim Exum. At 400 pages in length and featuring an astonishing 133 photos it is safe to say that Jack has genuinely captured the true essence of each and every one of these Notables. Jack J. Prather is a multiple award-winning journalist, freelance fiction and nonfiction writer and poet, and the author of six diverse books. He is a member of the North Carolina Writers' Network and Netwest. Has Off to Sandra Ervin Adams! Hats Off! to Sandra Ervin Adams, who had three winning poems in the 2012 Fields of Earth Poetry Contest sponsored by Writers' Ink Guild. "The Thread" won third place in the love category; "Sanctuary in the Park" won an honorable mention in the religious/inspirational category, and "Gone" received an honorable mention in the "open" category. Sandra also won third place in the literary/poetry division of the 2012 Onslow Senior Games for her poem, "Finding Yesterday," and third place in the literary/life experiences division for her story, "My Santa Claus Memories." In addition, she won first place for her visual-mixed media art work, titled "True Art," which included her poem, "True Art." Also, Sandra's poem, "Blue Bell Wood," appears in the 2012 Lyricist, published by Campbell University. GREENSBORO, NC–Michael Gaspeny, the winner of the 2012 Randall Jarrell Poetry Competition, was as a college freshman inspired by Jarrell himself. Gaspeny will receive a $200 prize from the North Carolina Writers’ Network, the contest’s sponsor, and his winning poem will be considered for publication in the literary journal The Crucible. Gaspeny is a poet and fiction writer living in Greensboro. His work has appeared in Brilliant Corners: A Journal of Jazz and Literature, Cave Wall, and Main Street Rag. He won the O. Henry Festival Short Story competition in 1998. For many years, he reviewed books for the Greensboro News & Record. A former reporter and retired High Point University professor, Gaspeny has also received the North Carolina Governor’s Award for Volunteer Excellence for his work with hospice. He’s married to the novelist and essayist Lee Zacharias; they have two sons, Al and Max. Hummel also named “My Kitchen” by Sandra Ann Winters and “Then Wear the Gold Hat If That Will Move Her” by Dannye Romine Powell as runners-up. Currently teaching at Stanford University, Hummel is the author of the novel Wilderness Run (St. Martin's) and the chapbook City of the Moon (Harperprints). Her poetry, fiction, and nonfiction have appeared in Poetry, The Missouri Review, New England Review, Narrative, and Creative Nonfiction. Her awards include the Penelope Niven Creative Nonfiction Award (2009), runner-up for The Iowa Review Creative Nonfiction Prize (2010), and a Pushcart Prize (2011). This year, she is coordinating and teaching in the Creative Nonfiction program at Stanford University. This year’s preliminary judge was David Bruzina, whose poems have appeared in a number of literary journals and magazines including storySouth, The Greensboro Review, and Waccamaw. He received his Ph.D in creative writing from Ohio University and teaches reading, writing, and rhetoric at the University of South Carolina - Aiken. Hats Off to Philip Gerard! Hats Off! to Philip Gerard, whose collection of essays, The Patron Saint of Dreams , won the Gold Medal in Creative Nonfiction in the 2012 Independent Publisher Book Awards. The awards are intended to bring increased recognition to the thousands of exemplary independent, university, and self-published titles produced each year, and reward those who exhibit the courage, innovation, and creativity to bring about change in the world of publishing. GREENVILLE, NC--Leah Hampton of Waynesville, NC, is the winner of the 2012 Doris Betts Fiction Prize competition for her story “The Saint.” Hampton will receive a prize of $250, and her story will be published in the North Carolina Literary Review’s 2013 issue. 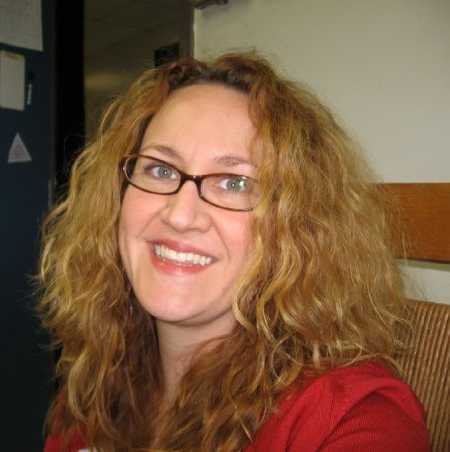 Leah Hampton teaches English at Western Carolina University in Cullowhee, North Carolina, where she currently serves as the Associate Director of WCU's Writing and Learning Commons. She is a native North Carolinian and a longtime resident of the Blue Ridge Mountains. She lives in Waynesville with her husband Joel. Eighty-nine stories were submitted to this year’s competition. Wieland also noted Ronald Jackson’s “The Shower,” Kathryn Lovatt’s “A Cure For Dreams,” and Gregg Cusick’s “Entanglement” for honorable mentions, each of whom is an NCWN member. Other finalists were NCWN members Leah Berkowitz and Kermit Turner, as well as Allison Reavis, Nancy Richard, Beth Hatcher, Faith Holsaert, Haley Edwards, and Susan Walker. Read Liza Wieland's comments on the Honorable Mentions here. "The past year has been full of surprises and learning experiences," said Hampton. "My background is in technical writing, so I've always been rather shy about my creative side. Recently I'd been intensely focused on some challenging work-related writing projects, and I was feeling really burned out. I became determined to take some time for myself and finally submit this story, which had been on the back burner for some time. It felt so good to finish it, to feed that part of myself. I am so thrilled and fulfilled by this whole experience." NCWN member Thomas Wolf of Chapel Hill won the 2011 Doris Betts Fiction Prize for his story, "Boundaries." Published since 1992 by East Carolina University and the North Carolina Literary and Historical Association, the North Carolina Literary Review has won numerous awards and citations. Fiction editor Liza Wieland is the author of three novels and three collections of short stories. Hats Off to MariJo Moore! Hats Off! to MariJo Moore, who was featured in the May-June issue of Southern Writers Magazine. Hats Off to Gregg Cusick, Ronald Jackson, and Kathryn Lovatt! Hats Off! to Gregg Cusick, Ronald Jackson, and Kathryn Lovatt, whose stories were selected as Honorable Mentions in the 2012 Doris Betts Fiction Prize contest. To read nice things about each of the Honorable Mentions, click here. SOUTHERN PINES – Bestselling poet and memoirist Maya Angelou, former state Poet Laureate Kathryn Stripling Byer (right), and 18th-Century explorer and naturalist John Lawson will be inducted into the North Carolina Literary Hall of Fame this fall. The induction ceremony will be 2:00 pm, Sunday, October 14, at the Weymouth Center for the Arts & Humanities in Southern Pines, where the NCLHOF is housed. The ceremony is free and open to the public. In addition to the three new inductees, the NCLHOF has launched a new website, www.nclhof.org, with expanded multimedia resources on the fifty North Carolina writers currently enshrined. Maya Angelou is the Reynolds Professor of American Studies at Wake Forest University, whose faculty she joined in 1982. A celebrated poet, memoirist, novelist, educator, dramatist, producer, actress, historian, filmmaker, and civil rights activist, Angelou is perhaps best known for her 1970 memoir, I Know Why the Caged Bird Sings. She read her poem “On the Pulse of Morning” at President Bill Clinton’s 1993 inauguration, and has been awarded the Presidential Medal of Freedom, the Lincoln Medal, three Grammy Awards, and more than thirty honorary degrees. Dr. Edwin G. Wilson, Provost Emeritus at Wake Forest University, will present Angelou for induction, and accept the induction on her behalf. Poet Jaki Shelton Green, the Triangle’s first Piedmont Laureate, will read Angelou’s poem “Still I Rise” in her honor. Kathryn Stripling Byer served as North Carolina’s Poet Laureate—the first woman to serve in that role—from 2005 to 2009. She has published six books of poetry, with a seventh due from the Louisiana State University Press this fall, and taught for many years at Western Carolina University in Cullowhee. Byer and her work have won the AWP Award, the Roanoke-Chowan Award, the Brockman-Campbell Award, the SIBA Book of the Year Award in poetry, fellowships from the National Endowment for Arts and the North Carolina Arts Council, and the Hanes Award in Poetry from the Fellowship of Southern Writers. John Lawson came to the Carolina colony in 1700, appointed by the Lords Proprietors to survey the colony’s interior. Setting out from Charleston on December 28, Lawson covered about 550 miles in fifty-nine days, ending his journey near Bath on the Pamlico River. His observations on the topography, flora and fauna, and native peoples were published in England in 1709 with the title A New Voyage to Carolina, considered “the first significant effort to describe the natural history and the natives” of North Carolina and North America, and “a classic of early American literature.” Lawson was also one of the founders of New Bern, and was the first casualty of the 1711 Tuscarora War. Lawson will be presented for induction by noted nature writer Phillip Manning. Danny Bell, the Program Coordinator for the curriculum in American Indian Studies at UNC Chapel Hill, will read an excerpt from A New Voyage to Carolina. Kay Williams, the executive director of Tryon Palace in New Bern, will accept the induction on Lawson’s behalf. The NCLHOF was founded in 1996, under the leadership of poet laureate Sam Ragan, and is a program of the North Carolina Writers’ Network. Since 2008, the Network and the Weymouth Center collaborate with the North Carolina Center for the Book, the North Carolina Humanities Council, and the North Carolina Collection of the Wilson Library at UNC-Chapel Hill to produce the induction ceremony and to promote the NCLHOF and North Carolina’s literary heritage. Hats Off to Ed Southern! Hats Off! to NCWN Executive Director Ed Southern, who was featured in the May-June issue of Southern Writers Magazine. CHARLOTTE – Registration is now closed for the 2012 Squire Summer Writing Residency, July 19–22 at Queens University of Charlotte. The Squire Summer Writing Residency was open only to the first fifty registrants, who chose from one of the following workshops: Creative Nonfiction with Pat MacEnulty, Poetry with Morri Creech, or Fiction with Robert Inman. The Squire Summer Writing Residency offers an intensive course in a chosen genre, with ten hour-and-a-half sessions over the four days of the program. Registrants work in-depth on their own writing, while also studying the principles of the genre with their instructor. MacEnulty’s most recent book, Wait Until Tomorrow: A Daughter's Memoir, was nominated for the 2012 SIBA Nonfiction Book Award. She has also published four novels, a short-story collection, a children's play, poetry, essays, reviews, and interviews. She is an Associate Professor of English at Johnson & Wales University in Charlotte, where she teaches creative writing, journalism, and film. Creech is the Writer in Residence at Queens University of Charlotte, where he teaches courses in both the Undergraduate Creative Writing Program and in the Low-Residency M.F.A. He is the author of two collections of poetry, Paper Cathedrals (Kent State University Press, 2001) and Field Knowledge, which received the Anthony Hecht Poetry prize and was nominated for both the Los Angeles Times Book Award and the Poet’s Prize. His third book, The Sleep of Reason, is forthcoming in 2013. Inman is a novelist, playwright, and screenwriter who in 1996 left a thirty-one-year career in television journalism, much of it as the lead anchor for WBTV in Charlotte, to devote himself full-time to fiction writing. He is the author of four novels, and his fifth novel, The Governor’s Lady, will be published later this year. He has also written seven produced plays for the stage, and the screenplays for six motion pictures for television. In addition to the workshops, the 2012 Squire Summer Writing Residency will feature a panel discussion on publishing and bookselling, a “Writingest State” trivia contest, and readings by faculty and registrants. Attendees take meals together, and are encouraged—but not required—to stay in guest rooms that will be set aside for this conference. The Squire Summer Writing Residency is named in honor of the late Chick and Elizabeth Daniels Squire, whose support made the residency possible. More information about the Squire Summer Writing Residency can be found at www.ncwriters.org, or by calling 336-293-8844. Hats Off! to Wim Coleman whose poem "Amid the Ashes of the House of Commons, London, May 1941” has been published by Dissident Voices, an internet newsletter with the goal of providing "hard hitting, thought provoking and even entertaining news and commentaries on politics and culture that can serve as ammunition in struggles for peace and social justice."